Need a shampooer that gets stains out for good? Wonder why stains come back? Traditional carpet cleaners leave behind water. The same water that is in the dirty water tank. As this dirty water evaporates, it wicks the stain to the ends of the carpet fibers. This is why that mystery stain returns. Worst yet, traditional shampooers leave behind detergents. Detergents are the active agent in soap that grab the dirt. These residual detergents are left behind and continue to attract new dirt. This is why once you shampoo your carpets, you have to constantly re-do them. Your job is never done. Also, shampooers use brighteners to make your carpets look "new". It is difficult to spot or area clean with shampooers. The rest of your carpets look dirty even though they aren't. Putting bleach on a stain doesn't make the rest of the shirt dirty. Use the Riccar Dry Cleaning Machine to permanently remove stains, and clean dirty areas of your carpets. Since NO WATER is used, the wicking problem is eliminated. Also, brighteners are not used, so only the dirt is removed. Most homes have traffic patterns. Areas, not the whole carpet, that are dirty. With the Riccar carpet cleaner, you can clean only these areas. 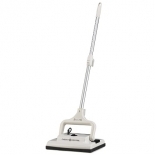 The Riccar carpet cleaner has an exceptionally low profile to allow you to clean under tables and chairs without moving furniture. Why pile all of your furniture if you don't have to. You can walk on the Riccar product while its working, no more saying "this room is off limits" or trapping yourself in the corner for fear of wet dirty socks. You can clean your carpets hours before your company arrives. 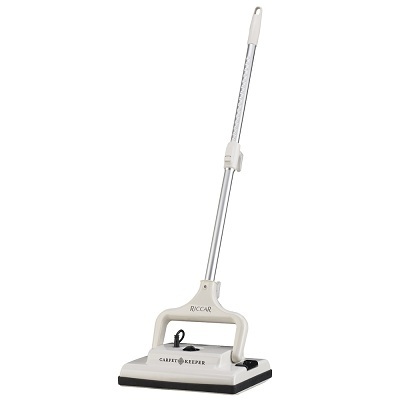 The Riccar carpet cleaner is perfect for last minute cleanings. Best of all, it is an alchohol based product that kills mold, mildew, dust mites and dries in less than an hour. It is also non-toxic. This page has been viewed 19105 times.